The MAI Ora 2018 theme underpins several aspirations. First, it insists Māori and Indigenous well-being is fundamental to building capacity in our whānau, hapū, iwi, and whare wānanga, along with ensuring the mission of Te Kupenga o MAI. Second, it highlights the importance and effectiveness of MAI by celebrating the success of current MAI tauira and ihuputa (graduates). Lastly, and most importantly, it is the opportunity to inspire current MAI PhD students to consider the well-being of their MAI into the future. We invite Te Kupenga o MAI co-ordinators to populate the attached draft programme with your selected PhD works-in-progress presentations (e.g., 3-minute (1 slide) thesis competition-type presentations, 5 Minute thesis, Pecha Kucha 20x20 in 6mins etc) or your chosen use of your 45-minute slot including waiata tautoko/kīnaki to close), and/or poster presentations. MAI site co-ordinators will chair their site’s panels. 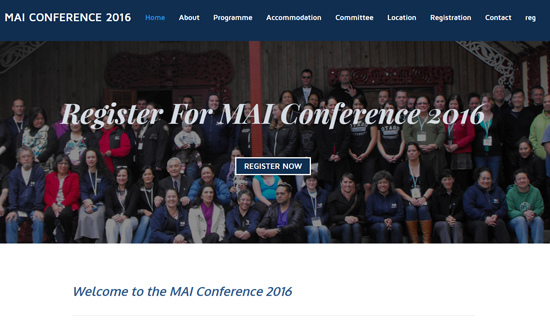 Please feel free to contact us here to discuss your ideas and suggestions for contributing to MAI Ora, 2018.